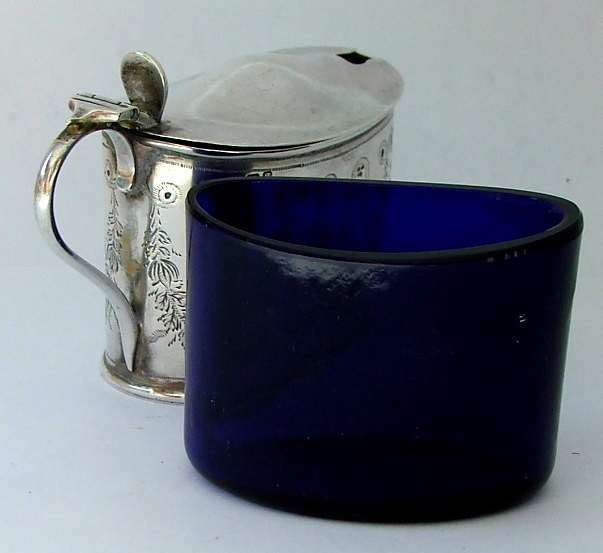 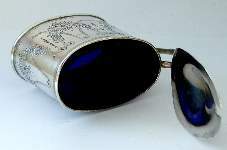 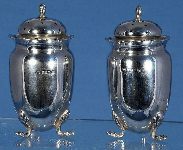 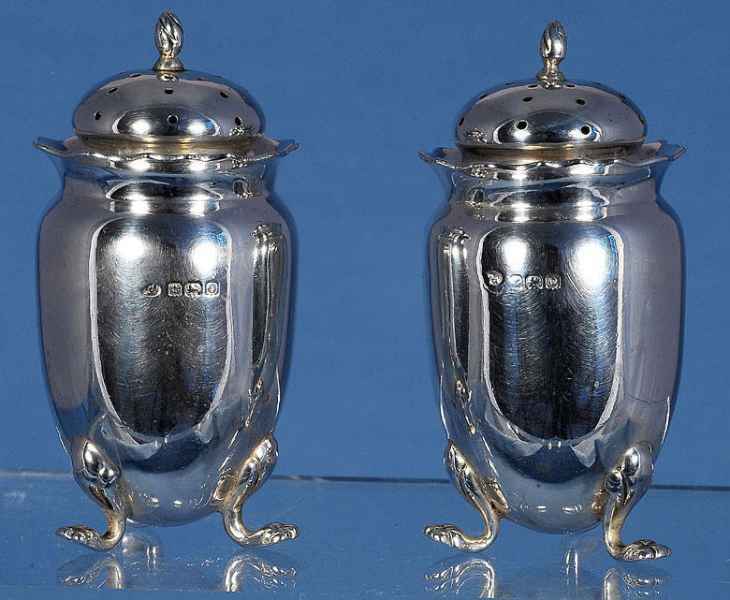 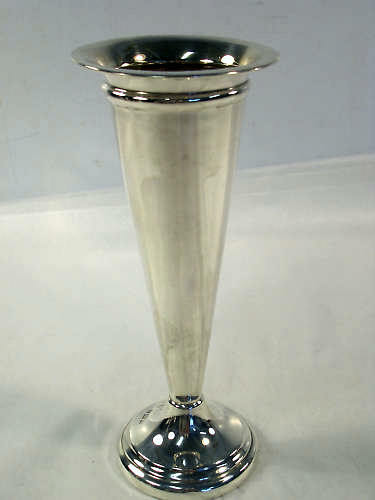 An Edwardian solid sterling silver mustard pot with original cobalt blue glass liner, made in 1906 by the famous silversmith William Aitken in his workshops 'Eagle Works', 78 Summer Row Birmingham. 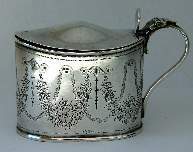 The body is hand chased with a decoration of garlands of foliage and flowers. 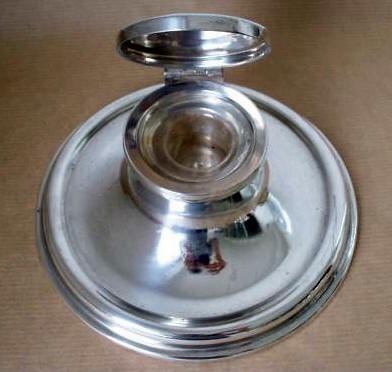 The domed hinged lid is raised by means of a thumbpiece and the spoon aperture is cut in the shape of a keyhole opposite the scroll handle. 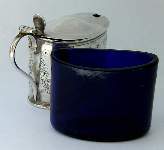 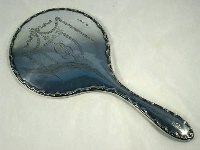 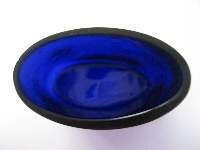 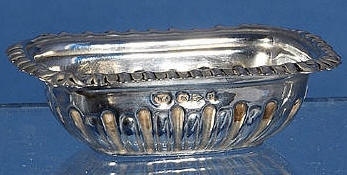 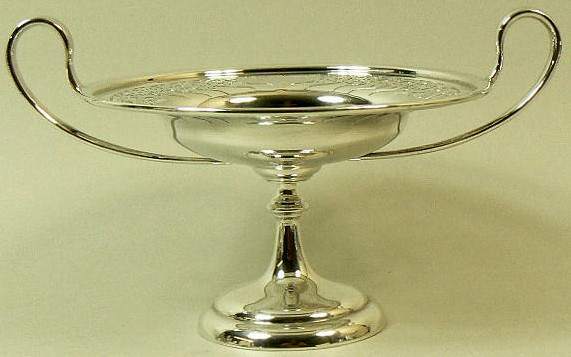 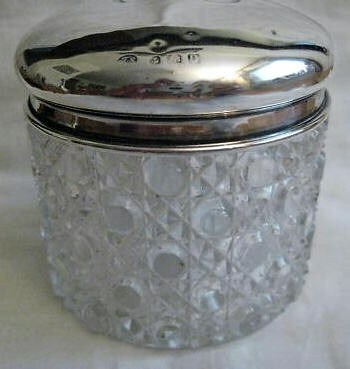 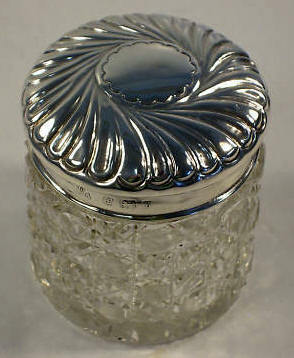 The original Bristol blue glass liner is in perfect condition and free of chips or flea bites. 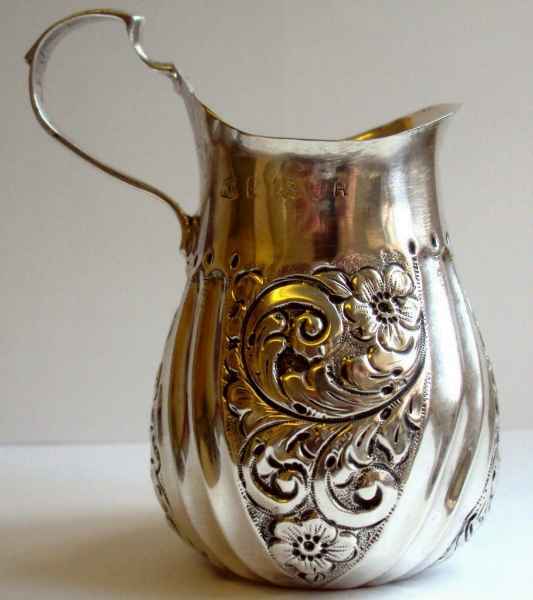 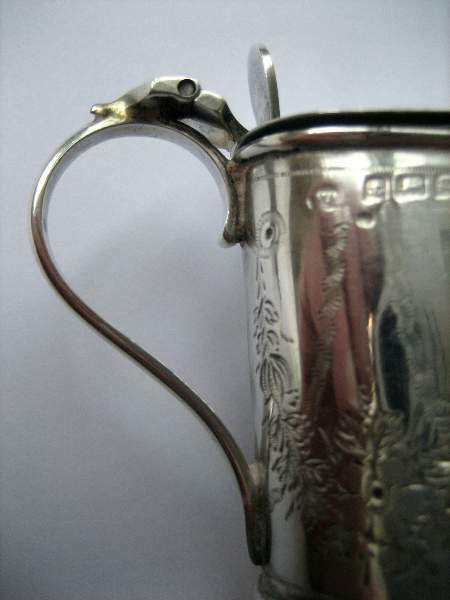 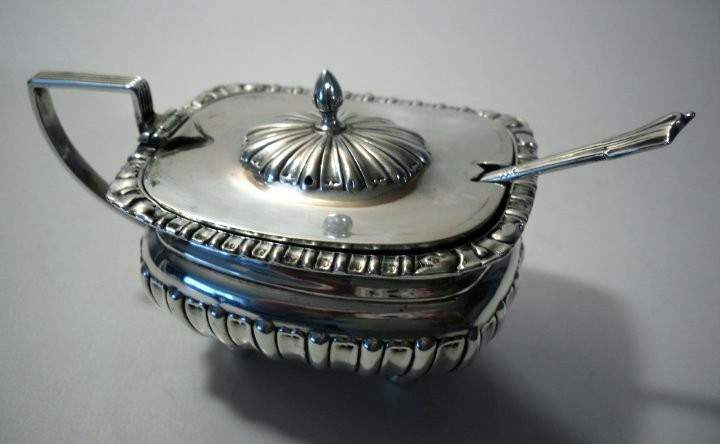 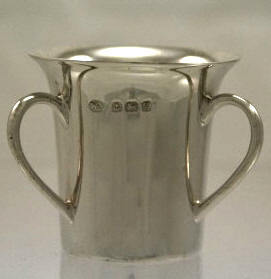 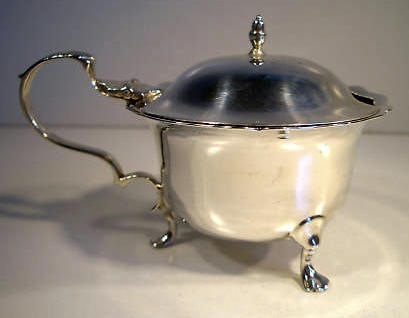 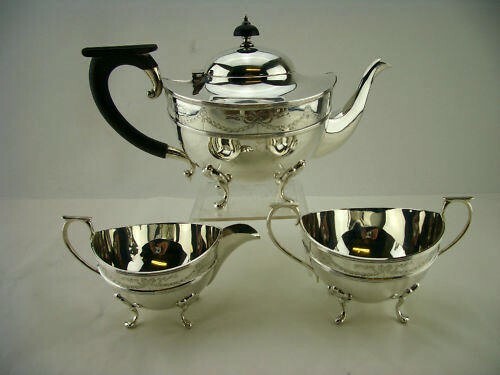 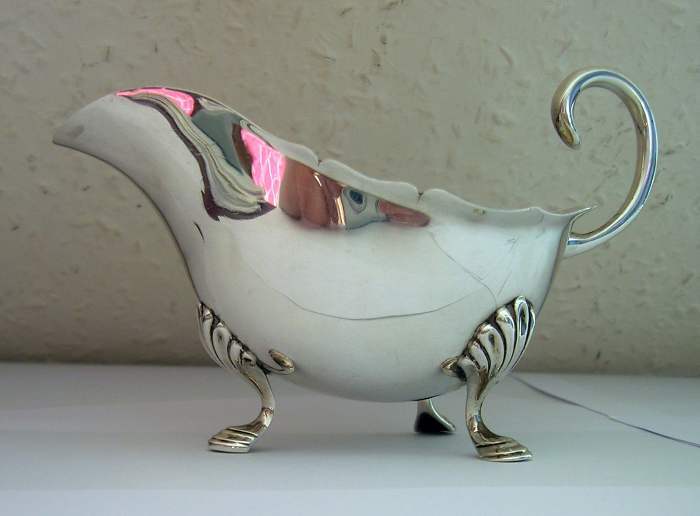 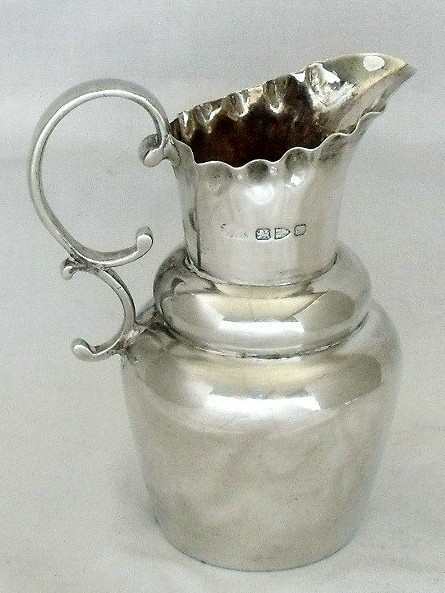 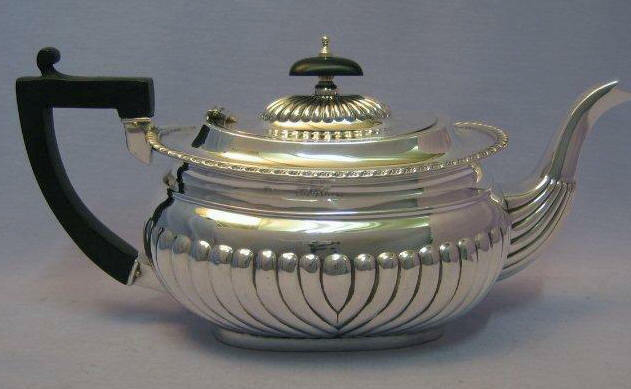 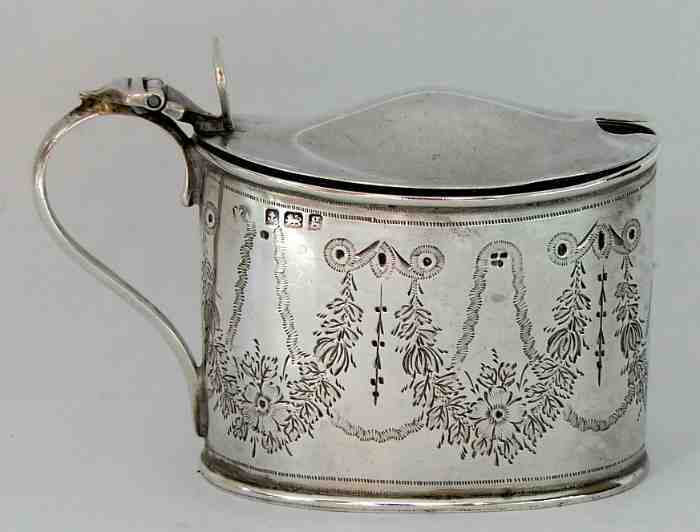 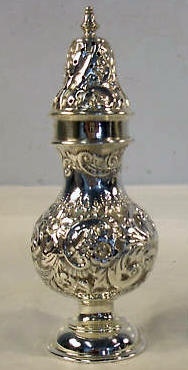 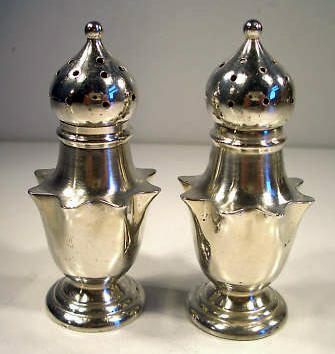 The mustard pot has been impressed near the handle with a full set of hallmarks that read as follows: lion passant for sterling silver, anchor for the town mark of Birmingham, date letter 'g' for the year 1906 and the sponsor's mark 'W.A in an oval' standing for the maker William Aitken. 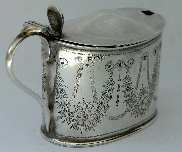 The punches of the lion passant and the date letter 'g' are repeated inside the lid. 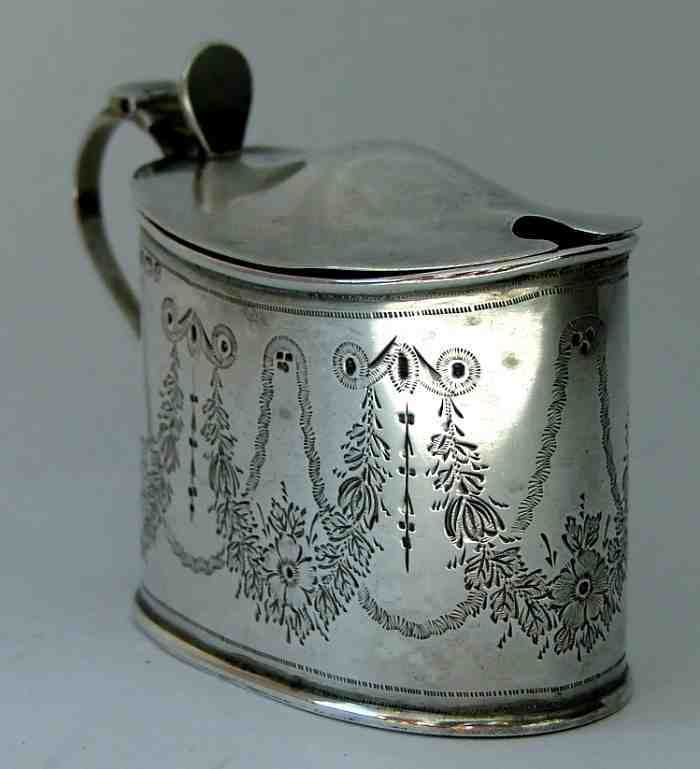 The mustard pot measures 58 mm in length (77 mm including handle) and it stands 50 mm to the top of the lid. 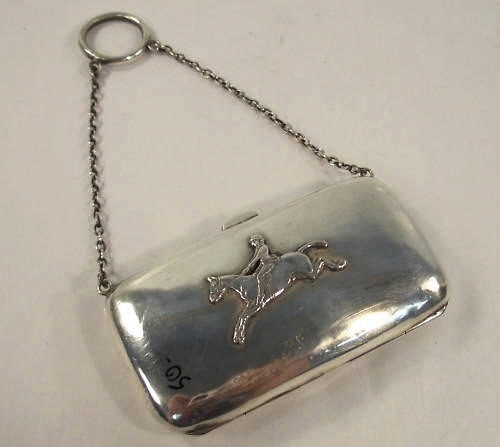 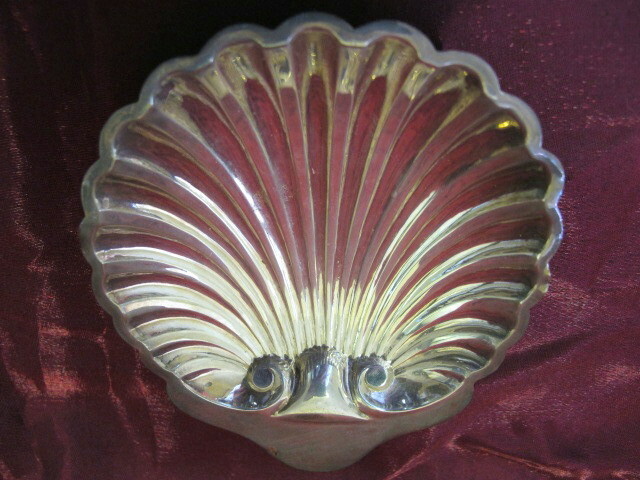 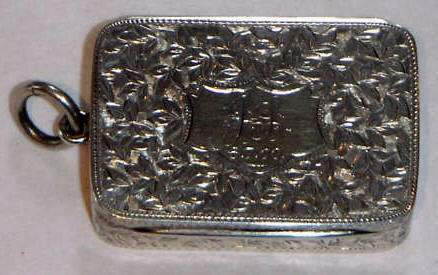 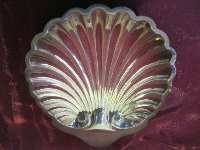 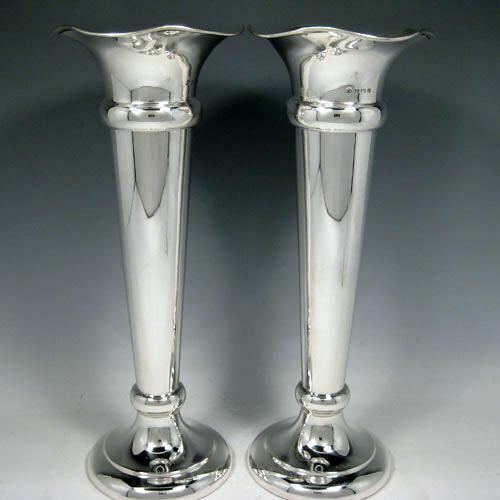 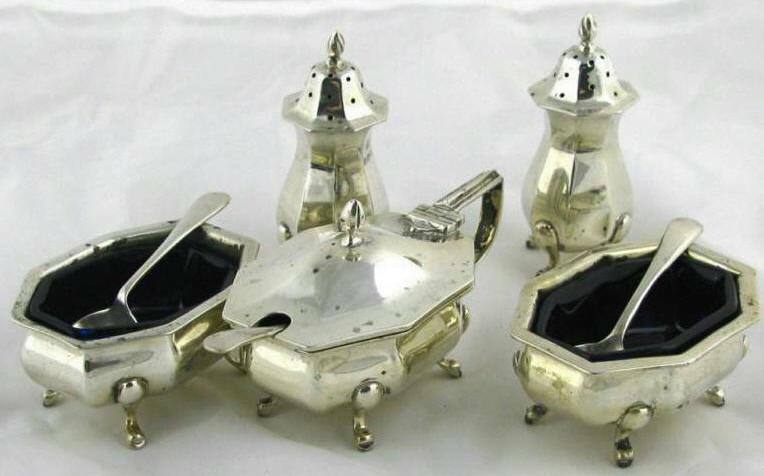 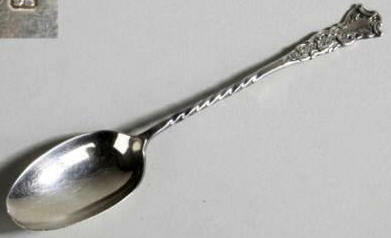 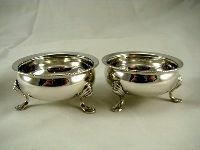 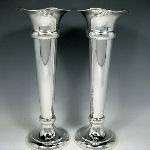 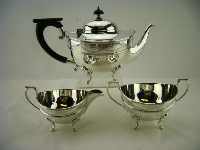 The gross weight is 84 grams and silver weight 36 grams. 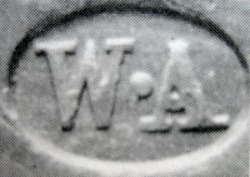 William Aitken had his shop on 37-38 Vyse Street, Birmingham and registered several sponsor’s marks as well in Birmingham as in Chester. 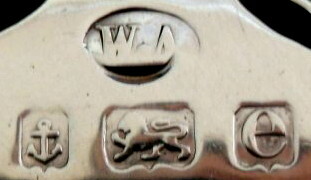 His private address was Wellington House, Wellington Road, Handsworth, Birmingham. 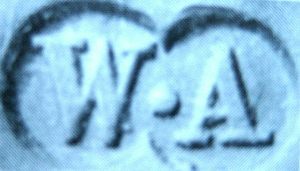 At first glance, the registration dates of the sponsor's marks seem to prove that William Aitken was particularly active in Chester during the period 1893-1902. 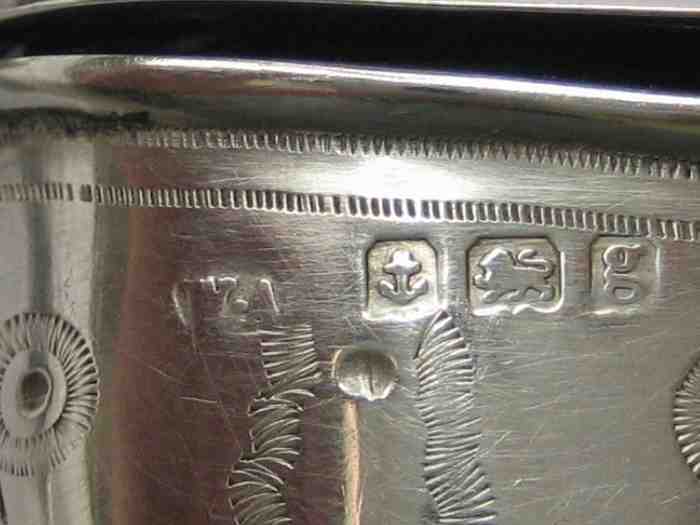 However we must remember that the assay office mark within a hallmark does not indicate where something was made, only where it was assayed and hallmarked. 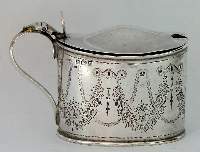 By Aitken's time there were no legal restrictions on where an individual could register a mark in relation to his place of business. 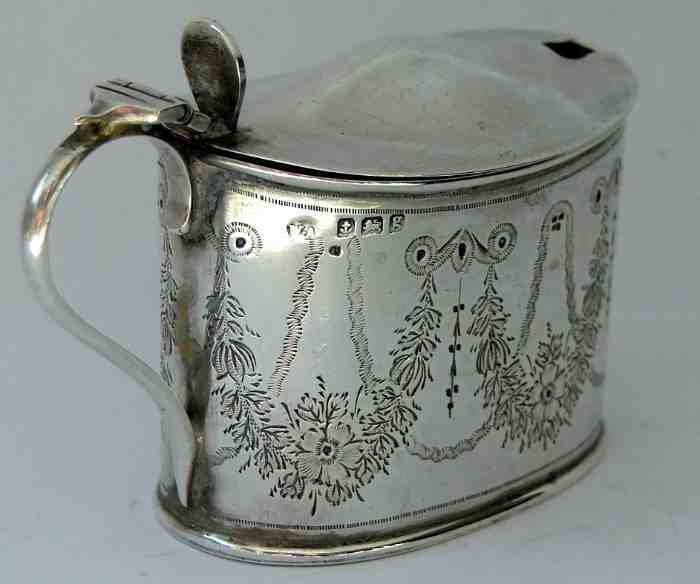 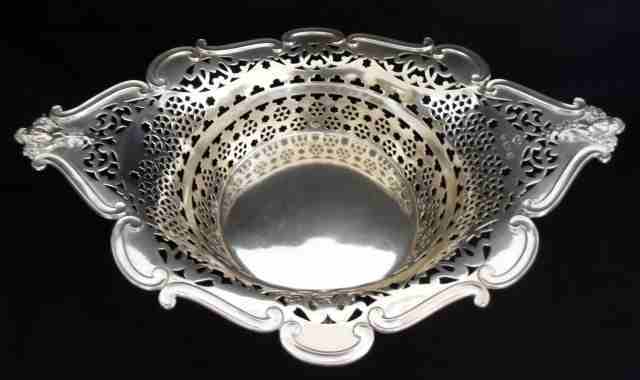 William Aitken was a Birmingham based jeweller; both the registers at Birmingham and at Chester bear this out. 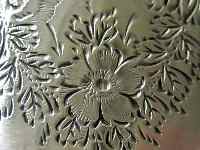 Biographical information on individual jewellers is scarce (info received from Dr Sally Baggott, curator at the Birmingham Assay Office).